Today's feel good song is "Life Goes By" by Dallas quartet Monoculture. Consisting of Olan Mijana, Nick Leibold, Jason Trevino, and John Valentine, the band plays upbeat psychedelic rock with jazz touches. Groove to the flute in their new single. You can hear additional songs at the band's webpage, but note that "Life Goes By" is out today via your favorite digital outlet. Cats of Transnistria have created their own brand of pop music, built from layers of understated synths, guitars and ethereal vocals. For Opium, their second album, they have added a violin and increased both the melodic and dynamic aspects for their sound. The result is deep, swirling and cinematic songs that unfurl at a stately pace, capturing the listener's attention with beauty, exquisite detail, and the promise of continuing sonic discovery. The eight tracks are simultaneously haunting and soothing. We can't stop playing it, and we don't think you will be able to stop either. 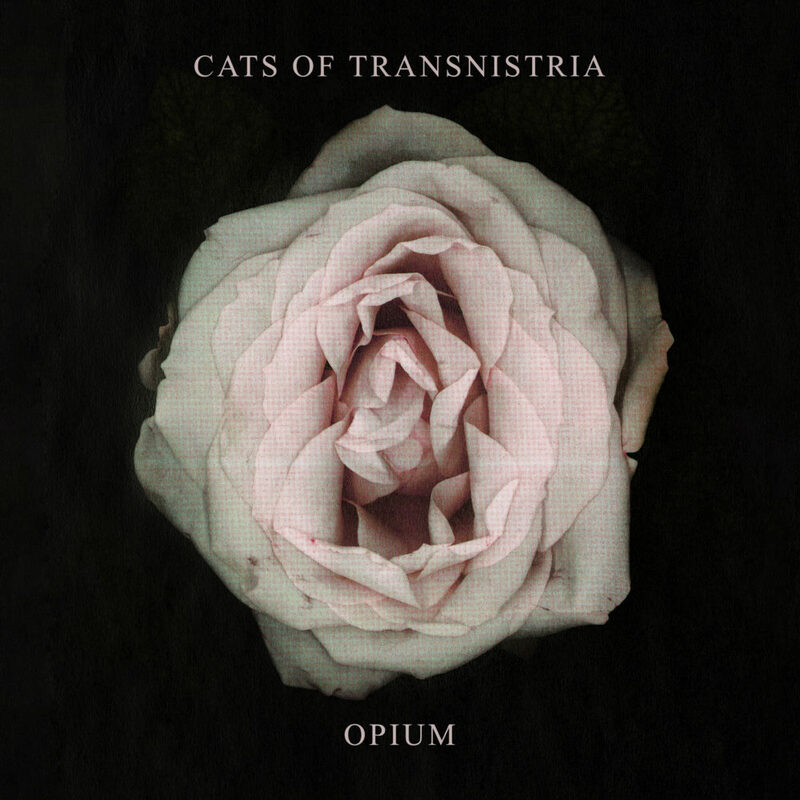 Cats of Transnistria are Tuomas Alatalo and Henna Emilia Hietamaki, joined by violinist Sanna Komi. Opium is out on Friday, February 2 via Helsinki's Soliti Music. Today we welcome a new, old friend, Roaming Herds of Buffalo. They are an old friends because we featured their most recent previous albums Japanese Cars and Apocalypse Beach. They are new, because they have changed their sound for their just-released The Bugbears. Some of the jangle and indie pop of the past is gone, and they now dish out chunky rock licks, post-punk rhythms and lyrics delivered with menace and a bit of danger. Oh, and the volume often is a few levels higher as well. In case you are wondering whether they are allowed to change like that, the answer is "yes, they are". They have cleverly avoided being trapped into a big label contract under which they would be expected to deliver a given sound (solid planning, men, solid). 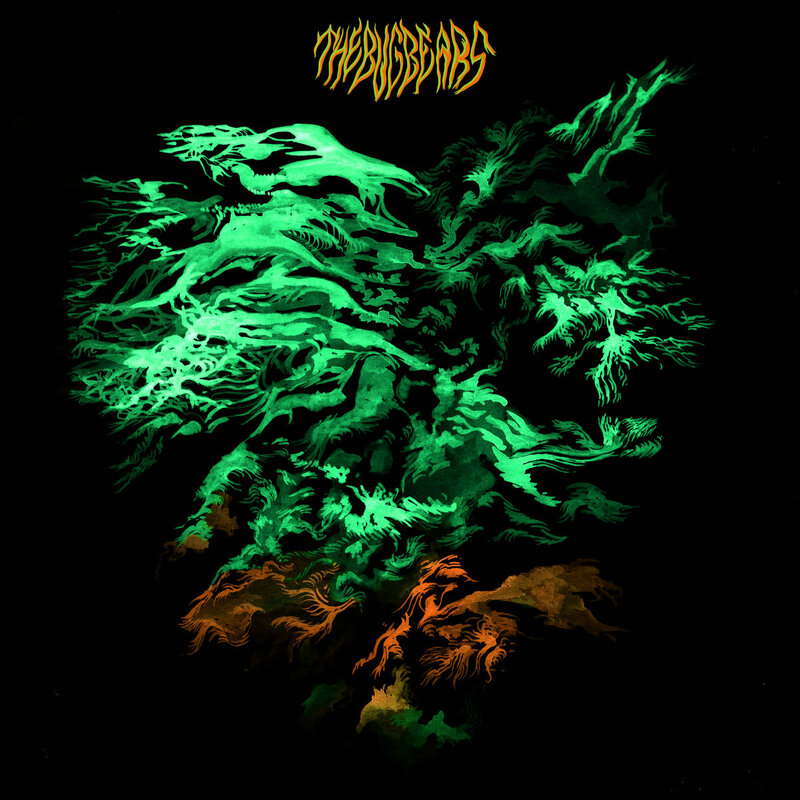 Moreover, not only do they execute the new sound like they have been doing it forever, but it fits the album's theme of a boy, lost in the woods and chased by the evil bugbears. So dive in to the spooky rock riffs of The Bugbears, and turn on your nightlight tonight. Roaming Herds of Buffalo are William Cremin, Jared Fiechtner, Neal Flaherty, Scott Roots, and Joe Shultz. The Bugbears is out now as a digital release. See the Bandcamp link below. One of our favorite purveyors of psychedelic pop is Michael McLeod. The Dunedin, New Zealand musician, who records and performs as The Shifting Sands, spent part of 2017 touring North America in support of David Kilgour and the Heavy Eights. 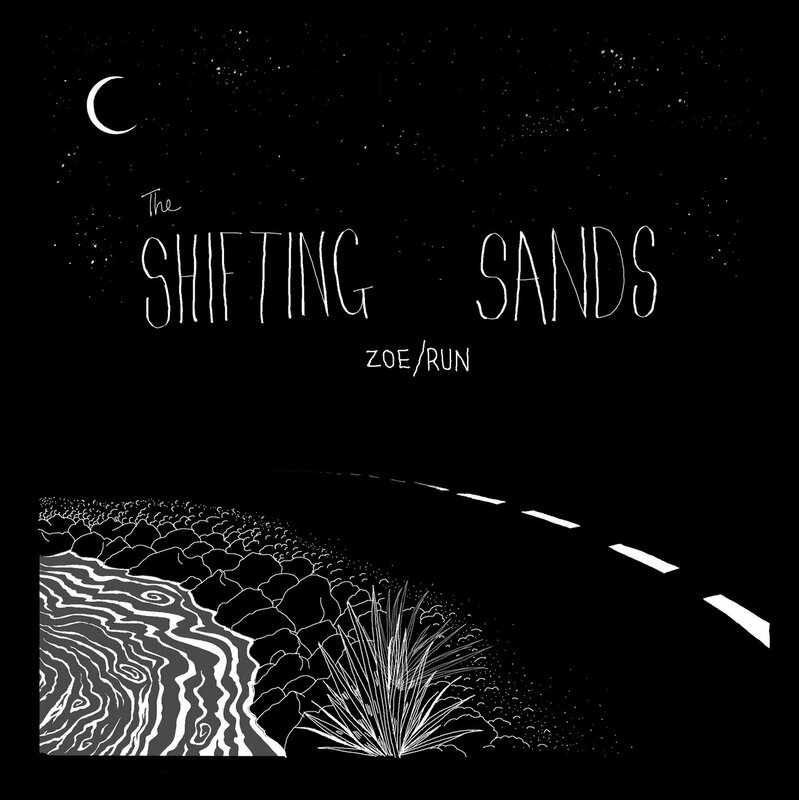 Before heading home, Michael (vocals/guitar) and fellow band members Tom Bell (bass) and Jake Langley (drums) went into studio in Los Angeles to record a seven inch single consisting of "Zoe" and "Run". For the sessions the band was joined by additional guitarist Steven Schayer. Featuring the band's traditional harmonic complexity and keen melodic sensibility, the single is a standout work of psychedelic pop, with a deep, layered rhythm track and punchy, intertwined guitars. Below you can enjoy the video for "Run" created by Phoebe Mackenzie, or the Bandcamp stream for the song. The single is available on limited edition vinyl plus a digital download via Fishrider Records. We first became aware of The Spook School when we stumbled on to a few of their early demos and featured them on the blog. We've followed them since, and have been impressed with their growth as a band. We have been even more impressed by their steadfast devotion to their beliefs, including gender positivity and trans rights. This is a good band comprised of good people. The Spook School can be defiant, political and angry, but they express themselves in stories to which their listener can relate. And the humanity is at the surface, addressing identity questions, stereotyping, romantic issues and just the general confusion in trying to become and adult in your own skin. At the end of the day, it is triumphant music, because these guys are survivors. 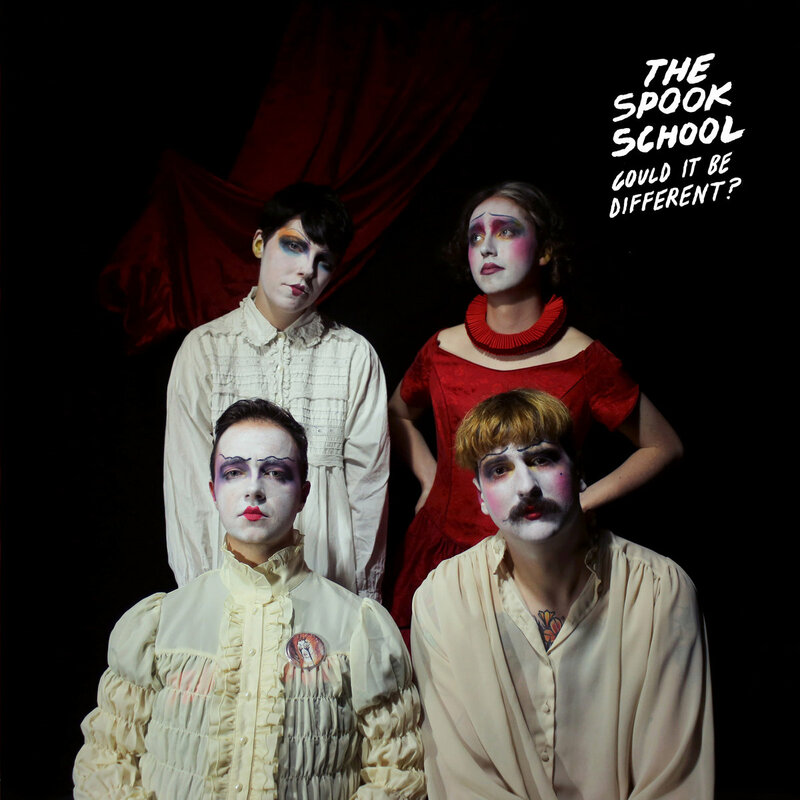 The Spook School are Nye Todd, Adam Todd, Anna Cory, and Niall McCamley. Could It Be Different? is out now via Alcopop! Records in UK and Slumberland Records in North America. The band is beginning a North American tour this week, that extends into early March. See below for dates and venues. Julie and Shaun are Love Sick. No, you don't need to send a get well card, I think their health is robust. Love Sick is the stage name chosen by the Glasgow duo. Their latest single is "Hope", and we think it provides a great reason to keep track of Love Sick. Check out "Hope", below. Link to digital outlets for "Hope"